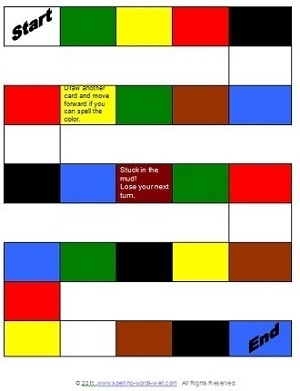 Here's one of the best elementary spelling games for practicing color words. As your kids are racing to the finish, all along the way they'll be spelling those all-important color words. The rules are simple, and we supply the all the free printables your kids need to start playing. 1. Print and laminate the game board, game cards and answer key. 2. Cut the cards apart and place face down on the table. Place the answer key face down on the table. 3. All players put their markers on START. Players decide who goes first. 4. The first player draws a card and spells the color shown. Another player checks the answer key. 5. If the first player is correct, he moves forward to the first space with the same color. If his is not correct, he remains at START. He puts his color card face down at the bottom of the pile. 6. Players continue in turn drawing cards and spelling color words. 7. Players must draw a blue card to get to END. The first player to land on END wins the round. 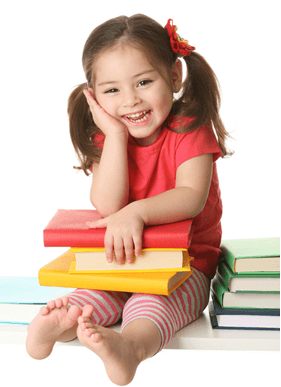 Our collection of sight word games and activities are perfect for beginning readers. 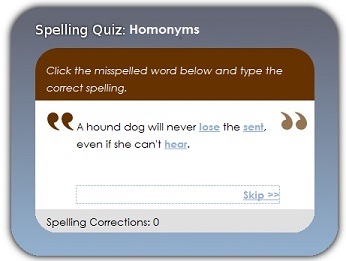 This Spelling Game Online is great for homonym practice. Kids just love to correct our mistakes! Try more elementary spelling games. You're sure to find some that your kids will love to play!